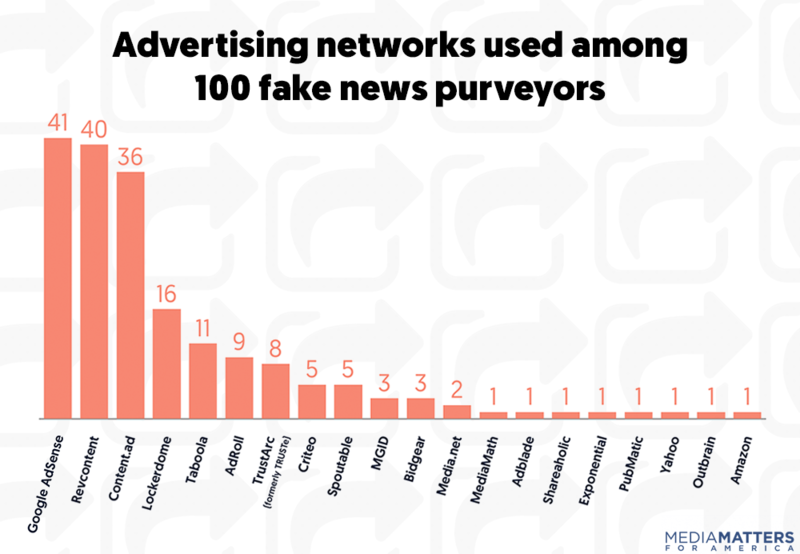 A Media Matters review of 100 websites that publish fake news found that 84 percent use at least one of three specific advertising networks for revenue. 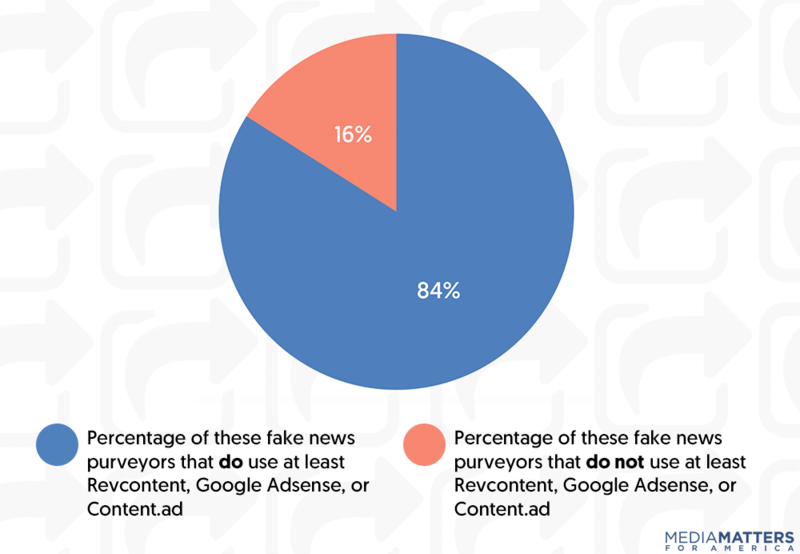 The review found that the examined fake news purveyors use three advertising networks far more than others: Google AdSense, Revcontent, and Content.ad. 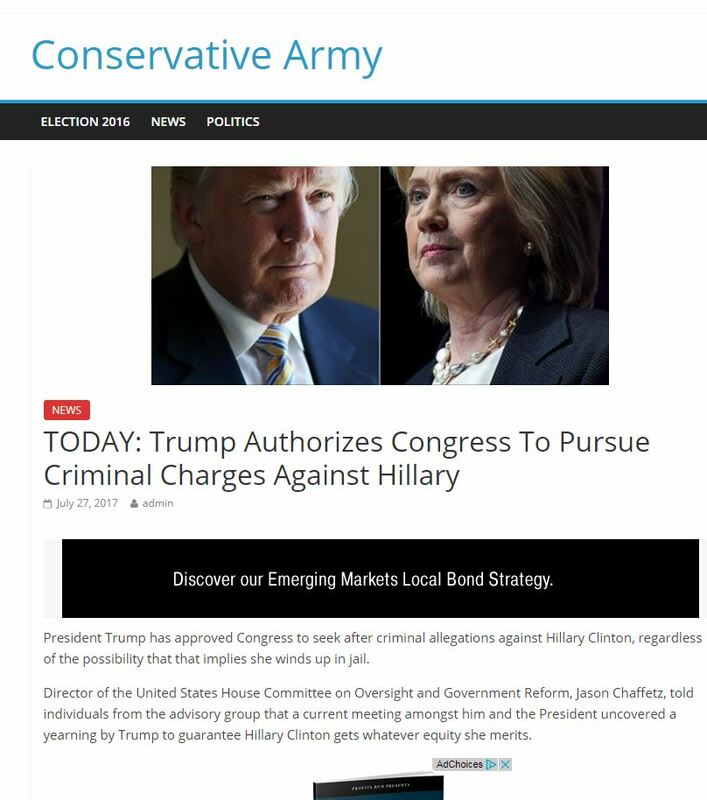 AdSense appeared on 41 fake news-purveying websites, Revcontent on 40, and Content.ad on 36. 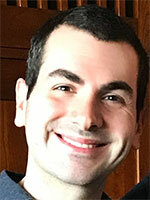 The websites don’t use these networks exclusively, often employing multiple advertising networks concurrently. Google and Taboola (the fifth most used advertising network found in this study) told BuzzFeed in April that they accepted many websites that published false claims because “the content is intended to be satirical” -- a weak cover for what’s clearly misinformation. In fact, of the 100 websites examined in this review, none explicitly say they are satirical. And most of them have published fake stories that have been debunked by fact-checkers such as FactCheck.org, Snopes, and PolitiFact. Simply put, these websites aim to intentionally deceive. 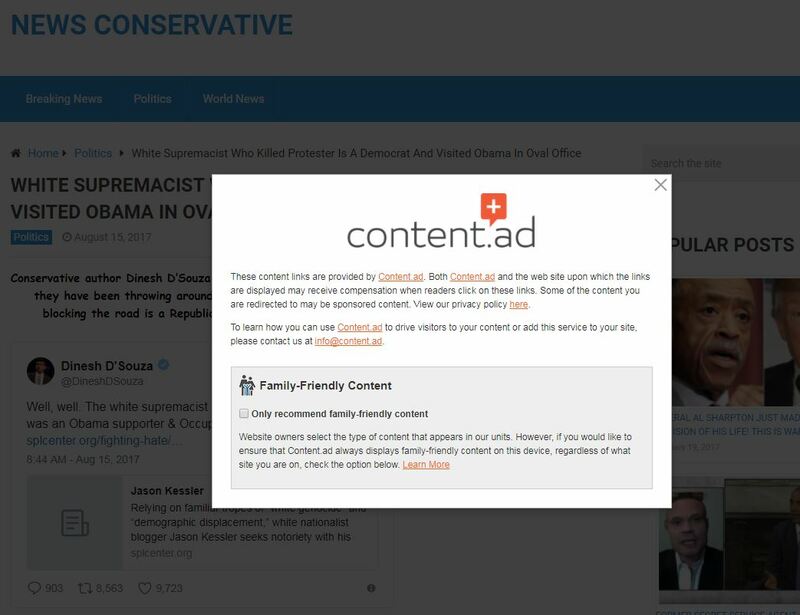 Some of these fake news purveyors also appear to violate these advertising networks’ terms of services. 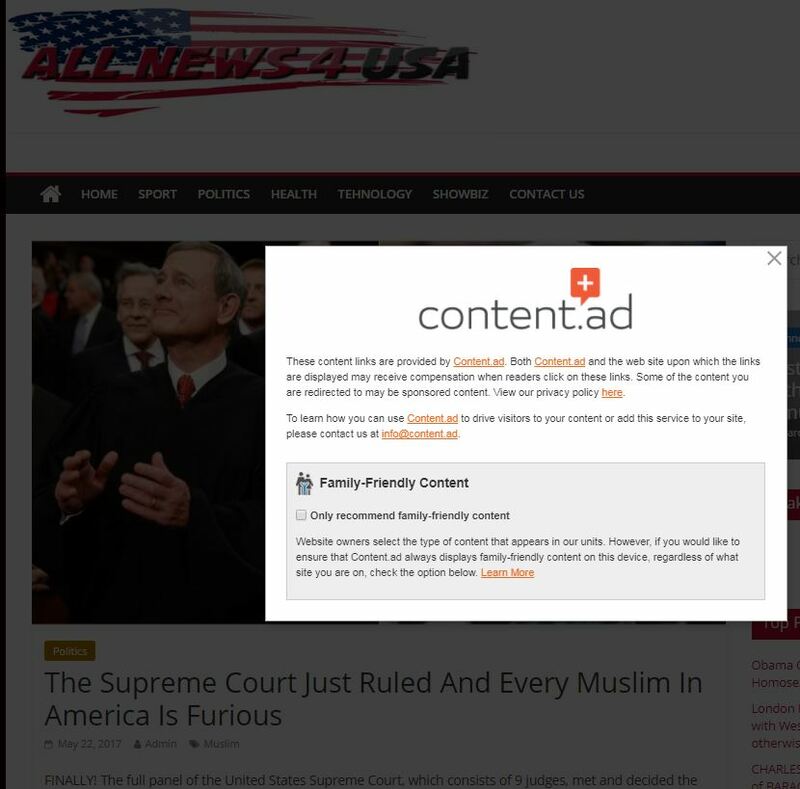 For example, Revcontent’s terms of service prohibit content that is “pornographic, hate-related or otherwise violent in content.” Yet it’s been used to monetize websites that publish fake stories such as a made-up Supreme Court decision that “pissed off every Muslim in America” ("it's about time" says the headline) or the baseless Pizzagate conspiracy theory that caused a gunman to open fire inside a Washington, D.C., pizzeria. 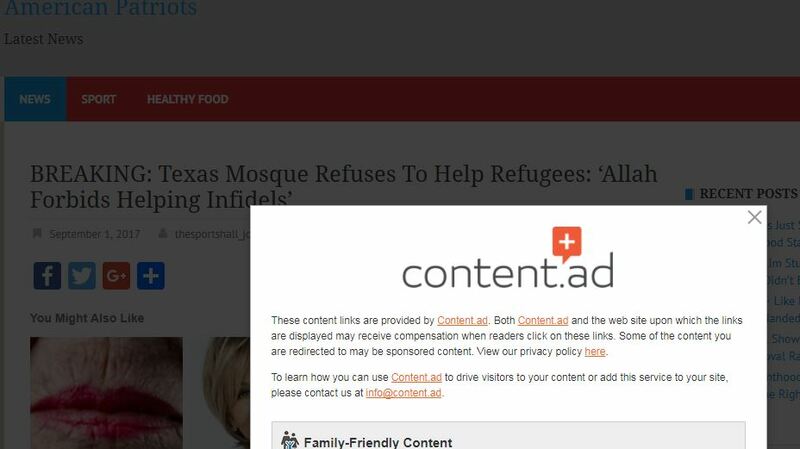 Terms of service from another widely used advertising network found in this study, Content.ad, prohibits content “that contains pornographic, hate material, gambling related material or any other material deemed illegal or offensive by Content.ad.” Yet the fake news purveyors using its services published articles such as “Texas Mosque Refuses To Help Refugees: ‘Allah Forbids Helping Infidels’” (which was made-up) and the fake Muslim Supreme Court story. 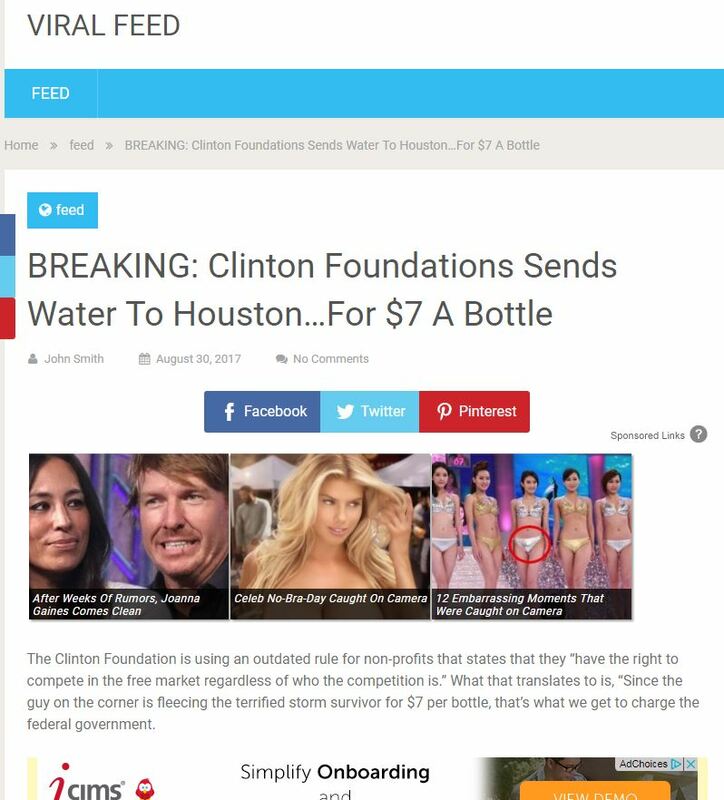 Google's AdSense prohibits content that viewers are enticed to click on “under false or unclear pretenses,” but the fake news purveyors using its services published articles such as “Obama’s Tax-Skipping - Audit Shows Millions In Offshore Accounts” (false) and “Clinton Foundations Sends Water To Houston...For $7 A Bottle” (the foundation did nothing of the sort). 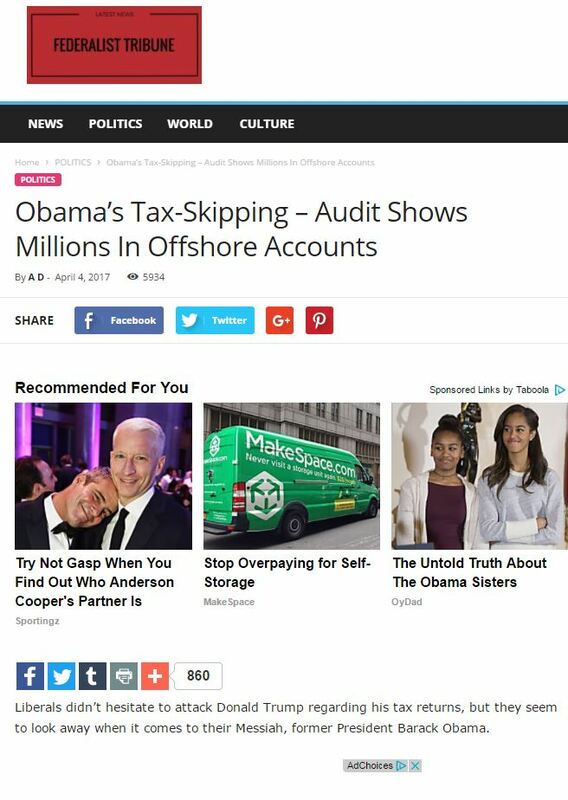 The sample websites examined show that these three advertising networks clearly have a problem with fake news. In fact, some of these companies seem to have acknowledged fake news purveyors’ widespread use of their networks and tried to avoid the problem rather than confront it. 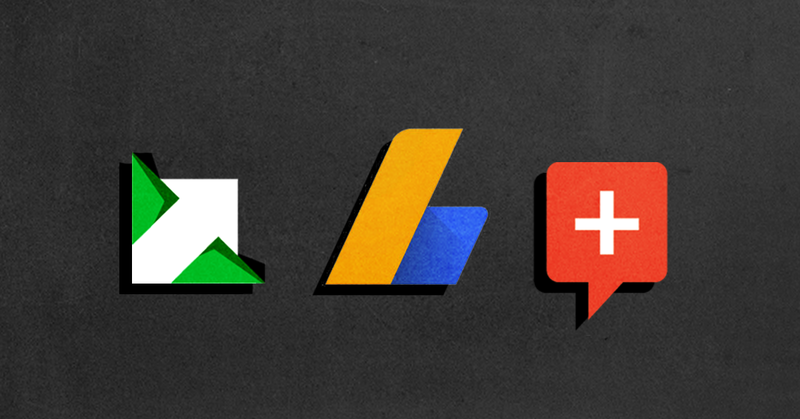 In January, Google changed its “prohibited content” policy to no longer directly mention “fake news articles,” although it promised to Media Matters that the change in wording had “not changed our misrepresentative content policy in any way.” But in May, Recode reported that Google would start removing advertisements mainly from individual web pages, as opposed to websites, which Recode characterized as a “more lenient” policy. 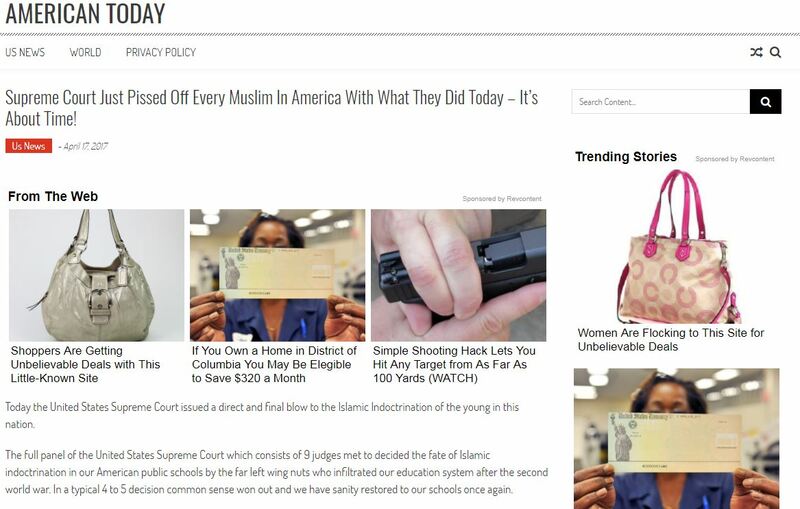 Revcontent claimed to USA Today in August that it was “a challenge to keep up with violations when content can be changed at anytime without the company knowing” and told Digiday back in November that “it doesn’t want to be in a censorship role.” Yet it dubiously told BuzzFeed months later that it has “some of the most stringent standards out there.” Content.ad has previously refused to comment on its role in funding fake news. Whether they like it or not, advertising networks are playing a major role in the spread of fake news, making money for websites that spread misinformation and mislead the public.